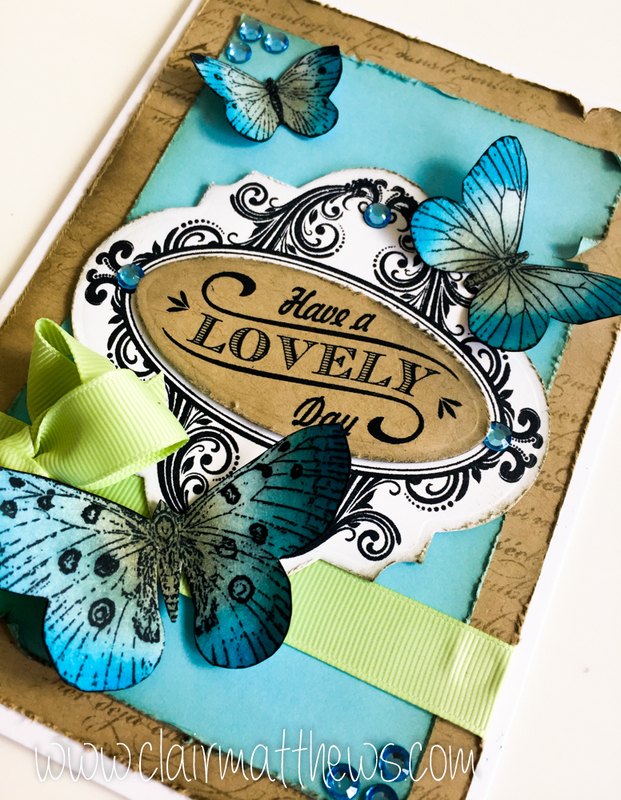 Clair Matthews: Workshop card 13.10.16.. I wanted to play with my Justrite stamps again..so I pulled out this lovely birthday vintage labels four set. I also pulled out this butterfly stamp set I've had for absolutely ages & never used!! 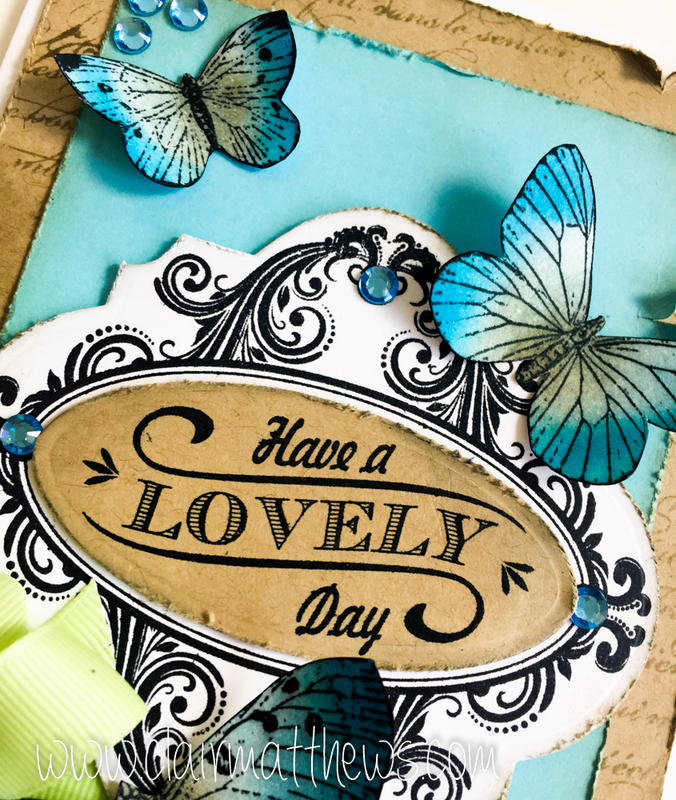 The vintage-y style of the butterflies worked perfectly with this card..
..we do a lot of distressing, both with inks & actually distressing the edges of the card.. I was never too sure about this technique but I have to say it was nice to do it again, it's a complete contrast to the clean & simple, cute Lawn Fawn type cards I've been making lately..
Beautiful Clair! Can't wait and one of my favourite colours!! 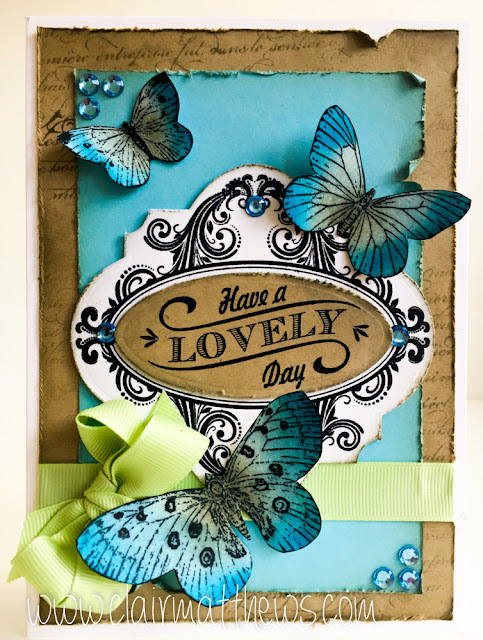 Love the card and the colours.